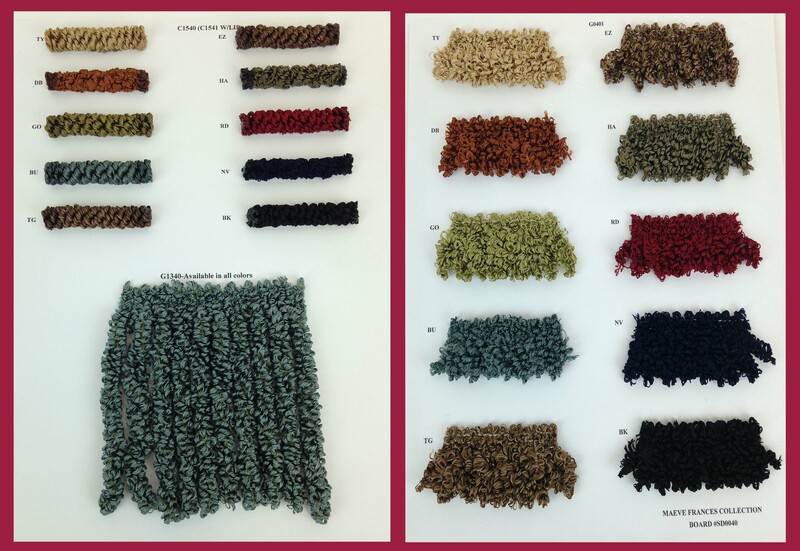 The Maeve Frances Collection is both sophisticated and whimsical featuring rich yarns in a scrunchy, loopy style. This collection features 2″ loopy fringe, 1/2″ loopy scrunchy cord, a 6″ loopy bullion as well as a 3″ loopy key tassel and chair tie. 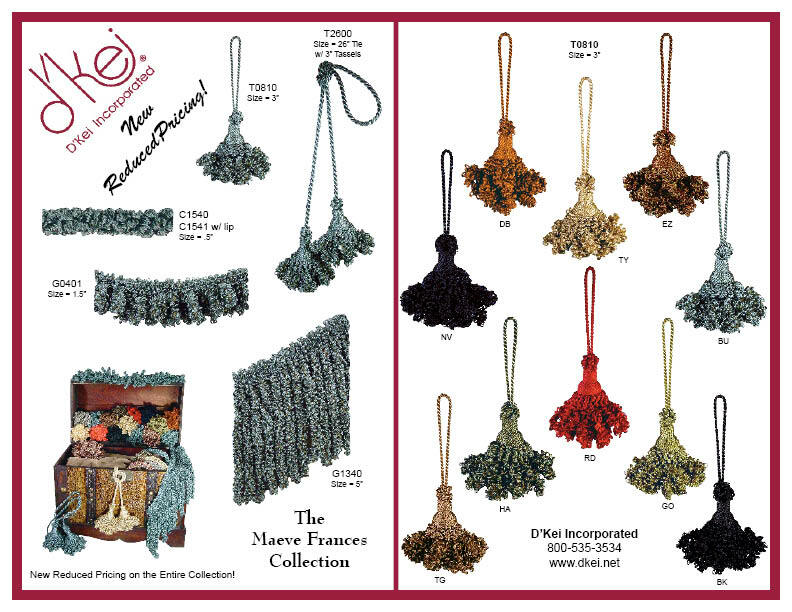 Available in 10 fabulous designer colors. 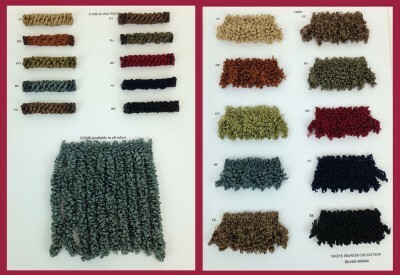 This trim is a favorite when paired with silk fabric.